Kiehl’s has been in the country for more than a decade—and rooted in its science and nature-driven heritage as an apothecary, the brand itself has been around for over 150 years now. And although Kiehl’s has always been about tradition, it’s always making moves to keep up with the times. Previously found only in its 14 stores across Metro Manila and Cebu, the skincare brand’s no-frills and highly effective products will soon be accessible to the rest of the country for the first time: It has launched on Beauty MNL. Mark your calendars: Kiehl’s is finally live on the Philippines’ online go-to destination for beauty and wellness. 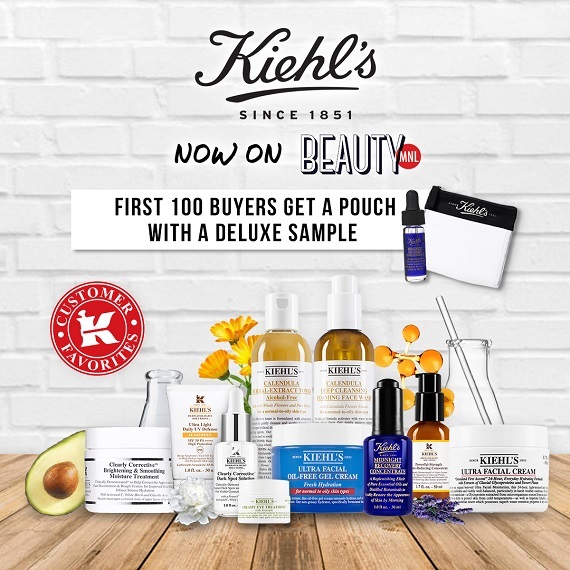 Kiehl’s Customer Favorites are all available, including cult favorite Midnight Recovery Concentrate, which replenishes and restores skin overnight; the Calendula Herbal-Extract Alcohol-Free Toner, which soothes sensitive skin; and the Creamy Eye Treatment with Avocado, which provides a quick burst of hydration for the under-eye area. Only downsides here was that I’m not sure if they were expecting such a crowd as they did not have nearly enough servers and sometimes it would take a really long time for service guy to come. But at venues in NYC they tried to keep a smiles on their face.